Our development programmes are individually tailored, giving everyone the opportunity to take control of their own career, and reach their own goals. 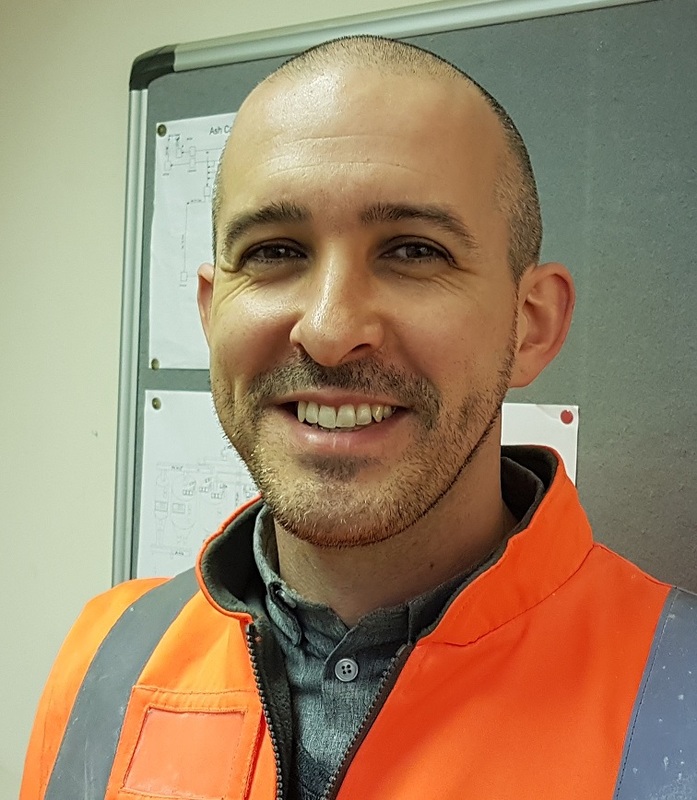 "My current job title is Operations Co-ordinator at the Middlewich site, and I have been privileged to have been in a number of roles, both permanent and on developmental secondments. This path has enabled me to gain some valuable and varied experience, which really helps me in my current role. Prior to joining Tata, I had completed an apprenticeship in Advanced Laboratory Techniques with AstraZeneca in the pharmaceutical industry. My role was based primarily in Research and Development. My first role at Tata was as a Process Operator working in the Lime Plant at our Lostock site, when I joined the company in June 2011. I eventually took on the role of Plant Technologist, based in the Sodium Bicarbonate Plant at our Winnington site. The role was part of the Technical team and involved various projects, laboratory analysis, resolution of operational issues and dealing with customer queries." How has Tata's training programme helped you? I've had access to lots of really useful training. The most recent training I have undertaken is my Lean Six Sigma Black Belt training. This methodology helps me enormously in my day-to-day role, as well as when I've worked on various projects. The training has taught me how to manage an issue or project opportunity in a structured and methodical way, in order to obtain the optimal results for the business." Have you had any assistance with your career progression? "One of the most positive points I have found whilst working for Tata is that from day one, all of my managers have supported my development. Because I have been involved in a number of roles, I have been able to observe different management styles, and I would like to think I have learned something different from each manager. All of the managers I have had at Tata have been very good at identifying where I need to improve and then pushing me out of my comfort zone – I think this is the best way to learn and develop." 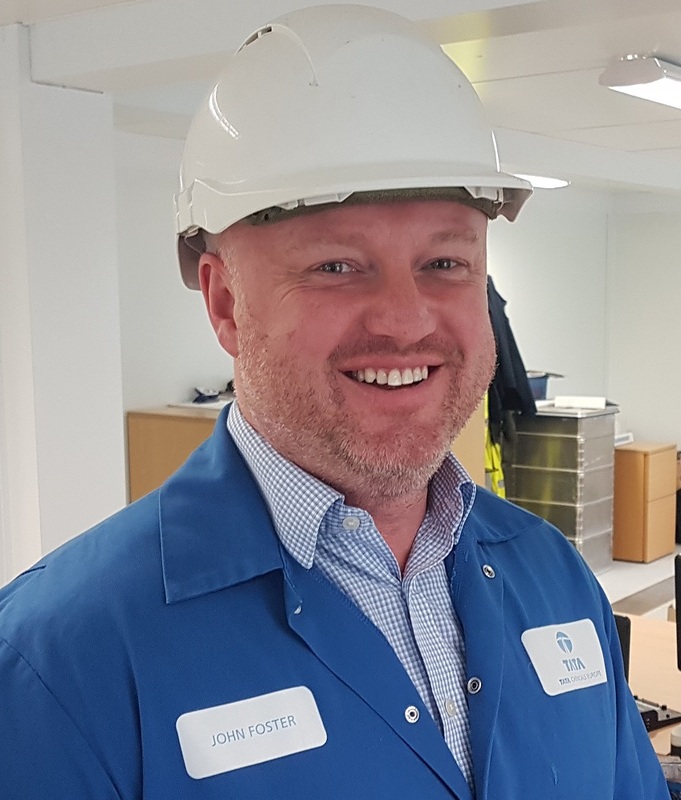 "I'm currently in the role of Sodium Bicarbonate Manufacturing Manager, but I literally started at the bottom and worked my way up to this level through hard work. I started at Tata straight from school. My first role was part of a scheme for 16-year-olds, where I worked in the mail room and stores. This scheme also paid for my driving lessons and my test, which was a massive advantage. Since then, I have held several process operating roles within the Ammonia Soda department, and was part of the Sodium Bicarbonate Team for projects, and worked in the implantation of the DMS plant. I later become part of the commissioning team for the new Sodium Bicarbonate plant at Lostock, before becoming promoted to the Plant Area Leader." "One training course that always comes to mind is a leadership course which really helped me to progress my career within the company." "Yes, in addition to this, other managers have given me the confidence and the time to help me develop and succeed. This company recognises all aspects of people's capabilities, and rewards hard work- not just academic ability. " What advice do you have for anyone considering a career at Tata Chemicals Europe? "I always remember my father's advice: have a good work ethic, and give people respect- whoever they are in the company." "In 1990, when I was 16 years old, I started as a trainee with ICI with a group called TTE (Technical Training Enterprise), who trained the intake of trainees for ICI, Shell and Kemira. I transferred from ICI to Brunner Mond in 1991 when ICI divested, and left the college to finish my training as a Process Trainee. I was transferred from the power station at 20 years of age, where I learnt several more shift operator roles. I progressed from these roles to Relief Control Room Leader, Senior Section Head, Day Production Manager and then into a Plant Manager role for the lime/DBO plant area. I then had a period where I moved out of plant management into some commissioning work, followed by waste coordination and then a six-month plant-based trial. After this, I came back into production, firstly as a Production Coordinator and then back into a Plant Manager role, this time covering the whole Lostock site. I stayed in this role for around 18 months, before moving into my current role: Technical Manager, Soda Ash Business." "In my mid 20s, I was put on a 'Certificate In Team Leadership' course that ran over a 15-month period, with around one full day's training per month, and then homework in between. I found this course hugely beneficial. In my early 30s, I also attended several leadership courses that ran internally. These were well constructed, and again, did further work on understanding your own character, enhancing the good and developing the weaker aspects. At the age of 34, I went back into part-time education and did a five-year Chemistry degree. Although it was difficult to balance this with work and family life, just doing the course and realising I could do well, gave me another huge confidence boost, despite leaving school at 16 thinking I was not at all academic. With the encouragement and training I have received, I have expanded the range of work I am able to do, and feel comfortable doing certain elements of my role that I would not have previously. In addition, several other managers and team leaders from the CE/Maintenance teams have also helped me along the way, increasing my level of knowledge and understanding in areas I have not got a good background in. This was particularly helpful to me as a young Senior Section Head/Day Production Manager. Their help and patience was all key in aiding my own personal development and understanding of the soda ash business." "Be resilient. Be passionate. It does not necessarily mean automatic promotion, but it does help. Also, take opportunities that come up and don't be afraid to go out of your comfort zone. Learning about yourself is also crucial. Some skills are inherent and some have to be learned depending upon who you are. Don't ever think you can only learn from those more senior than yourselves or you are missing out on a huge opportunity. I think you have to want to be in this industry and to be passionate about getting involved in good old fashioned manufacturing, but with the aim to take it to the next level so you can leave something sustainable for those that come after. I fell into ICI just because my grandfather worked for ICI and said it was a job for life. Luckily, I have loved working here, and enjoying something makes it easier. Working at Lostock has provided me with many opportunities, and just because you start your working life in one area, it does not mean you cannot branch out as you learn new skills and find out what makes you tick. So I would advise people to keep an open mind, give it a try and work hard at whatever you do."